margie and jimbo's illustration studio is from the imagination of a girl who loves fun color combinations, gets weak in the knees by a new micron, lives by song lyrics and enjoys sweets a bit too much. 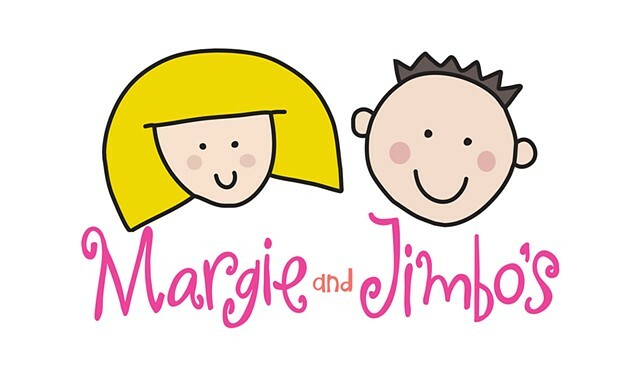 margie and jimbo are a real couple, who raised this girl and support her in all she does in life. with such luck, this girl, who they named jillian, illustrates images that make her smile, patterns that catch her eye and ideas that excite her. jillian currently enjoys life in central illinois, with her husband, david, sweet daughter, bee and dogs, charlie and zuzu. jillian is so proudly represented by Lemonade Illustration Agency.